Currency historian and 20+-year monetary commentator, Andy Gause, has weighed in on some of Karen Hudes’ claims, on his April 2 appearance on The Real World of Money. For more on Karen Hudes, see my article, I’m blowing the whistle on World Bank Whistleblower, Karen Hudes. 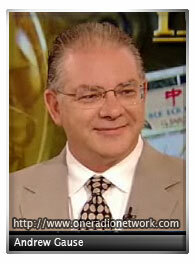 For more on Andy Gause, see my article, Bill Still and Andy Gause blow the whistle on fake quotes about money. “Thank you Karen for all the earth-shaking work you have done! One thing though, is about the gold in Hawai’i. There is more to the story than what you’ve been told. It belongs to the Kingdom of the Hawaiian Islands, and cannot by robbed by the illegal USA occupation. Lots was earned by the blood, sweat and tears of Hawaiians who cut down sandalwood in the mountains and carried it over sharp lava fields to deliver to the CHINESE SEA MERCHANTS in the 1800s, who purchased the wood for gold currency. The Hawaiian gold is divided up into 4 trusts, to serve the kanaka (people of Hawai’i) for Health, Education, Kupunas (community elders) and children services. The Kingdom of the Hawaiian Islands still exists. There is no consensual TREATY OF ANNEXATION. Only a domestic Congressional Resolution, which doesn’t hold up in international law. Hawai’i monarchs were the first non-Europeans to join the Family of Nations and have treaties with France & England 1843, USA 1844 and 17 other countries. USA is the only country that broke all of its treaties with Kingdom of Hawaiian Islands. The Kingdom of Hawaiian Islands is peacefully going forward iwith nternational due process to reclaim the land that is illegally occupied. The transition is being done with aloha and diplomacy. Hawai’i sends a message to rest of the world, that diplomacy, not military might and violence, is the way of the future AND an example for other people on this shared-planet to follow. Love is the only thing that can save the world. WRONG: I leave the entire discussion on the “alleged hominid species” to Dr. Edward Spencer, Yale Medical School-trained neurologist. What does this have to do with my allegations of deep-seated corruption in the international monetary system? Your and the SGT Report’s attempt to discredit me this way has backfired. If anything, it is getting me even more support than RBN’s erstwhile attack on my family that was dredged up by some of the commentators in this discussion. On the quantities of gold – here is some new documentation for you and Andy Gause. Were these photoshopped too? You may have since decided to leave the discussion of the details up to Dr. Ed Spencer, but I haven’t seen you back down in any way from your past claims about them, and if you take SGTReport up on his offer of a show dedicated just to talking about them, presumably you will discuss details at that time. As for my appearance, I was prepared only to talk about alternative economics, but I only began talking in detail about you once prompted by questions. As for the RBN article, I have never linked to it, but I have also not censored others from posting it in my comments section. I never linked to it because I thought it was shoddy journalism, in not stating the author(s)’s name(s), and was overly personal. Thanks for that link. I have never corresponded with Andy Gause, so I don’t know what his take is since the interview I linked to. I am a semi-regular listener to his Patrick Timpone appearances and thought his views on your claims would be of interest to my readers. As for that document, I have to question its authenticity when: there is an unnecessary space in the word SWITZERLAND, there are spelling and grammar mistakes, and perhaps it’s just me, but I’ve never seen anyone make their signature mostly overlap with text. Is it difficult for Andy to get his head around all the evidence that points to Homo Sapiens being born out of slavery and livestock ? No doubt. We’re simply delicious. That’s different than saying there’s another hominid species here running the banking system, currently. He said the photo was Photoshopped, not that you did it yourself. With this piece you appear to be trying to besmirch Karen Hudes in an offhanded way. Why don’t you give her a fair shake and ask her for a proper interview to post on your blog? I didn’t want to interview her in late 2013 when she started talking about Jesuits being behind the International Banking cartel, and left the door open for a wide-spread use of gold for national currencies, and I definitely won’t be interviewing her after she started talking about another alleged hominid species being the real ones in charge, without any peer-reviewed studies of the species by some anthropologists. Lots of other alternative media platforms have given her a bigger audience than my radio show could provide, and some will continue to. I wouldn’t have written the article I did about blowing the whistle on her if I then planned on interviewing her. Anthony, agreed. As an example. Does anyone know “for sure” where all the gold confiscated in 1933 from the American Citizens, by FDR went to? Or where all the gold confiscated during the numerous wars go? One of the leaders in So. America, I think, Juan Peron, emptied the entire gold reserve of the countries treasury, hauled it to the port on wagons, loaded it on a ship and sailed to Switzerland. I studied that in college some 45+ years ago, so you would have look it up to confirm the textbook. Hard to forget that story though. There’s a lot of gold at the bottom of the oceans also. From what I read, they did an audit in the 1980s, of 20% of the gold constituting 80% of its value. I think most of the gold is probably there, but whether most or all of it has been pledged away is another story, as Gause himself says. But when you have Hudes talking about more gold in Hawaii than has ever been reportedly mined, it makes the legitimate question of how much gold is there out there look ridiculous. As the European raped and pillaged the America’s it is hard to know how much gold and silver has been mined. The Spanish, I’m told kept very good records of their ships manifests, but who really knows. The banks and other private gold storage facilities hold gold for companies, trusts and people. I don’t believe they have any requirements to disclose their storage holdings. The insurance company would of course require some accounting for insurance purposes but who knows if they are required to disclose the holdings of those they insurance. I question why, in the first place, someone would won’t to store gold in Hawaii. As everyone know, people often times pass on information, from those they think to be reliable and credible sources later to find out they got the information from somebody else less reliable. For him it might be difficult to wrap his head around there being massive levels of gold that is not being reported. lol As everyone knows, the oligarchs tell us everything the own and control. Yamashitas gold and the Marcos connection shouldn’t be over looked.Why do you think Marcos got to leave the Phillipines with Billions.His first stop ?Hawaii.I lived near them and met the family.Nice people .Worth billions. Yes, thanks, Anthony. It’s good that someone did some digging. The fact that it was by an unknown author, with comments disabled, and pointed to her religion, has given her some sympathy support, however. She has some unorthodox views, herself, claiming that Moses was Akhenaten, who was a Homo Capensis. It’s not the first time I heard the link between Moses and Akhenaten, but I have to ask, what the heck does that have to do with her insider information of malfeasance at the Word Bank? Not much, of course, and that’s been the consequence of this circus act. Well, he may hve difficulty getting his head around it, but I’m convinced there is much, much more Gold out there then they are admitting. Official reserves stand at about 155k tonnes. But the Money Power has owned the mines for 6000 years and we are relying on their numbers. The Portocols claim they have huge hidden Gold reserves, mainly built up to keep it artificially scarce. The idea that we will get some Gold is central to several memes out there, including Hudes and the Galactic Federation and OPPT. I wouldn’t be surprised if it is part of their bribes when they usher in their NWO. It’s the same with diamonds, which is a good example. But artificial scarcity is the name of their game in general, of course. Karen Hudes takes a legitimate point that official gold reserve numbers may not be accurate, and spins it into the fanciful, in claiming there is more hidden gold in Hawaii than has ever been mined before, as Gause talks about.